Try the World is an adorable culinary-meets-wanderlust concept - subscribers receive a sweet little Tiffany-blue-hued square box every two months packed with delicious treats from various cities around the world. 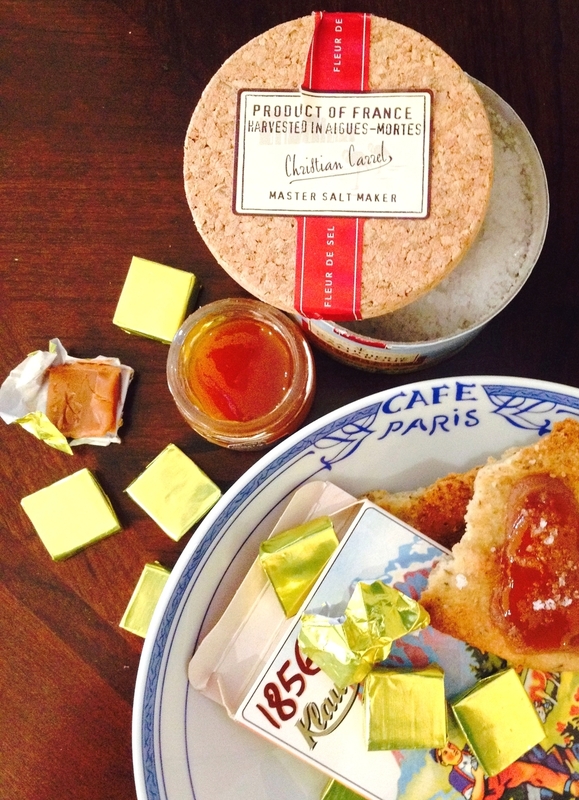 I jumped on the chance to join in when I noticed their current package was The Paris Box, which features petite delectable goodies from all around the country: hazelnut spread from Privas, salt from Aigues-Mortes, caramels from Morteau, mustard from Reims, jam from Orilenas, and so forth. Also included is a little mood-setting booklet with Parisian factoids and music and movie recommendations (they won major points for mentioning "Love Me If You Dare," which put Marion Cotillard on my radar prior to "La Vie en Rose."). Though the box came with tea and hot chocolate packets, I couldn't help but toast to my Paris Box with a lovely late-afternoon Kir aperitif. Next up are boxes from Tokyo, Rio, and Rome - I can't wait to see what's inside!